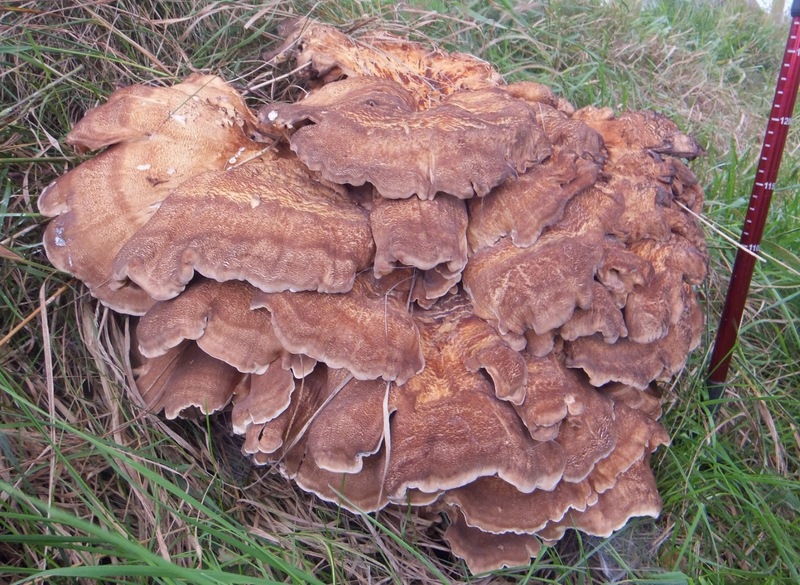 We spotted this rather large fungi whilst out for a walk. I told them if they lined up and smiled for me I would pop them on my blog, so here they are. We went out goecaching and these girls came over to see us. Found a couple we had failed to find on a previous occasion we were out, Experience certainly made them easier. 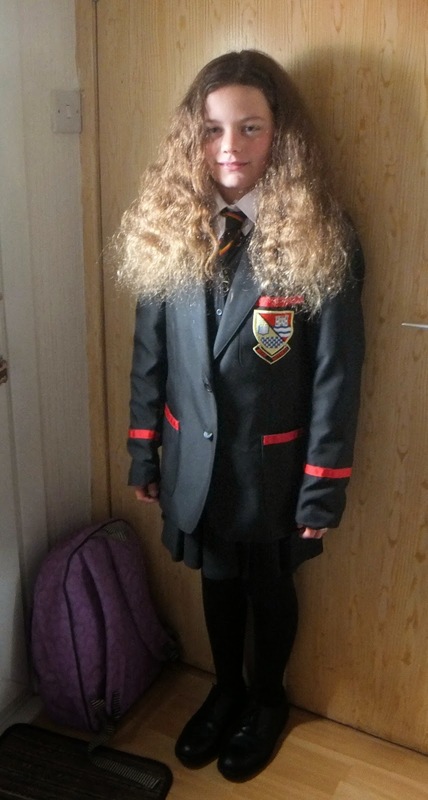 Today was Fifi's first day at secondary school. So after school we went round to see her. Surprisingly she was not in. So instead I helped bath the twins. He was clean ten minutes before this picture was taken. also got this wee bit of video, how cute is this? and you can't hep but laugh along with her! Was our visit day to son No1. As usual we did some geocaching while we were in the area. Found this piece of history in Sauchie that we would not have found had we not been caching. 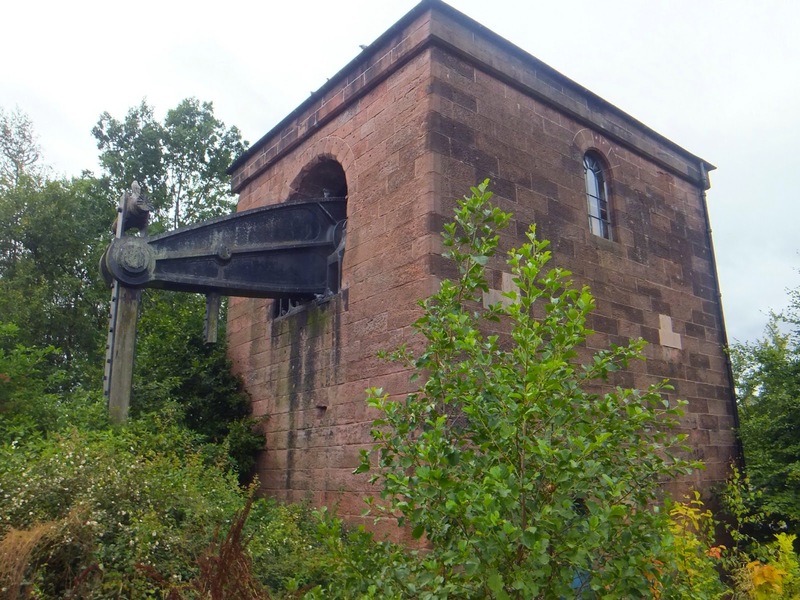 This is a fantastic beam-engine house built in 1865 to pump water from Devon Colliery, of the Alloa Coal Company. The area was first mined in the 1840s and the last mined in the 1950s. Devon Colliery closed and was razed to the ground many years ago. Only the beam engine house survives. It is a tall, rectangular building of high quality, with a hipped slate roof. The back wall has a large arched opening, partly timbered, through which worked the cast-iron beam of a Cornish pumping engine, built by Neilson and Co, Glasgow in 1865. The pumping engine was used to drain the mine shaft but only the beam and part of the pump-rod are all that survive of the engine. With the children being back at school they were available to stay over night. We did a few bits and pieces, went and played in the park, took A with us (but didn't have a camera). 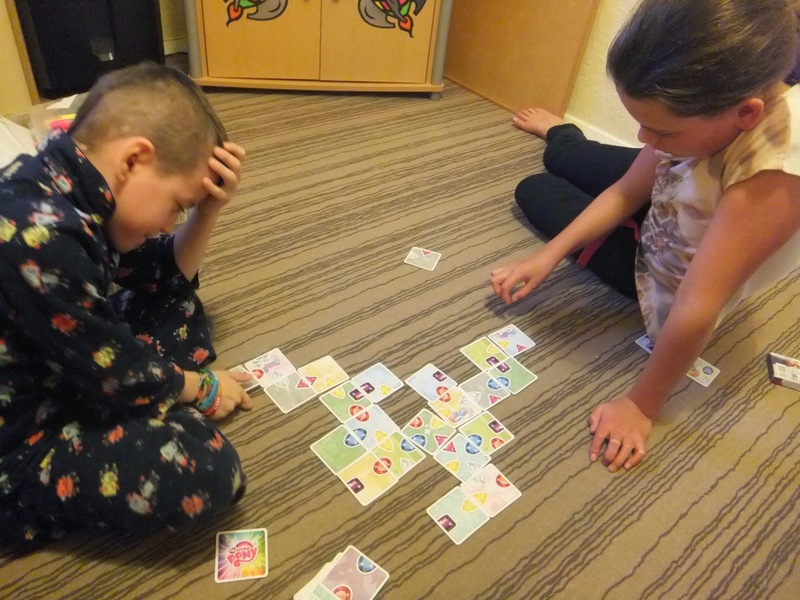 Over the last few weeks I have been picking up the card packs in Morrison's and so we played a few games of cards. With Fifi being at secondary school now she needs to be up a lot earlier. She got herself up at 6.30am, to get showered etc before she left here at 7.45 to catch the bus to school. A big difference this year from previous years. The village school has approx two hundred children where every child knows every other, and now she is in the largest secondary school in Ayr. She is liking it so far and is looking forward to the after school activities starting. It is a fairly new school with amazing facilities. Here are the latest additions to the family. Have been wanting chickens since we moved in here last year, and today was the day. 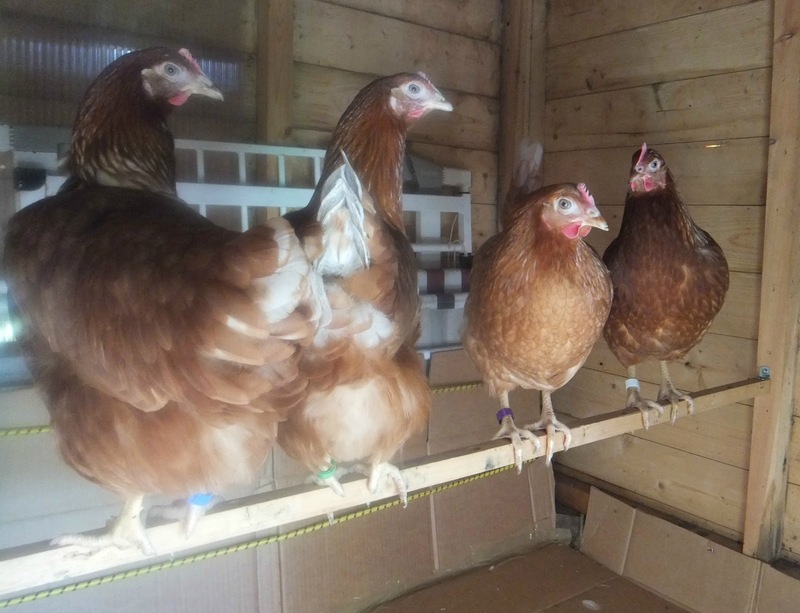 They currently are in temporary housing as their new coop is not being delivered until Wednesday, but if we didnt take them today it would be sixteen weeks until we could get more. My sons in the same boat, tiny primary school, starting MASSIVE, school in sept. I'm more worried than he is. Hope it goes ok for him. Yes she has A LOT of hair must be a fashion think. Would drive me insane if it were mine. Always think I must try geociaching when I read your blog then never get round to it. Lovely chickens! Will you names them? Eat them? 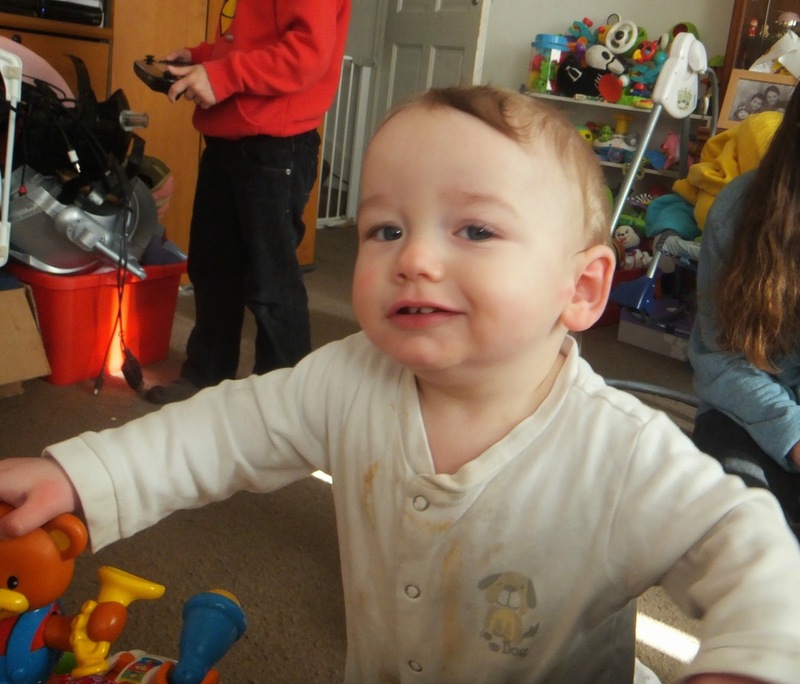 I love how kids have the ability to ger so messy again in the shortest space of time. That's really exciting getting chickens. I would love them but don't have room where we live. Love the chickens! I'd love some of my own but we don't have a big enough garden. Hope the transition is going well. Ours will be similar (few years away yet though) as our school is small despite being in the city. That beam engine looks very impressive. 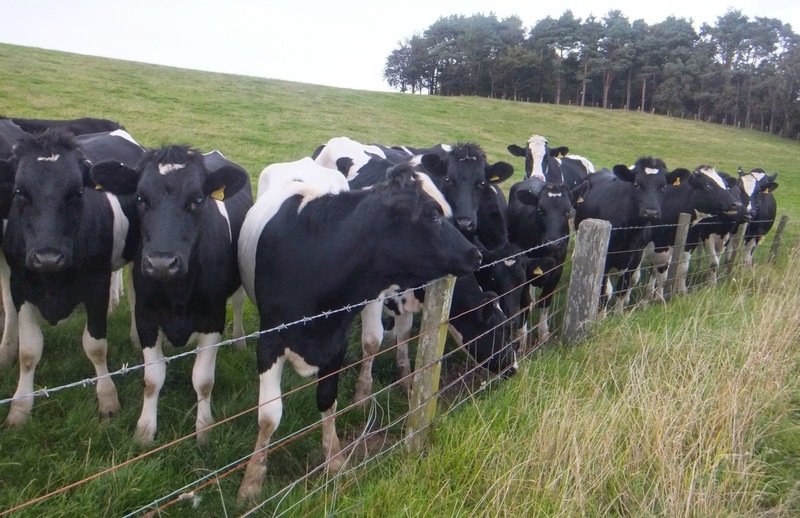 Cute photo of the cows...they posed well :) I love that cheesy grin photo. Oh I would love some chickens! Great picture of the cows all lined up, and that fungi is huge! I like your chickens. Won't be long before you're enjoying eggs. We used to keep them when I was very young.. I want some chickens too! Love the cow pic! It is like they wanted their pic taken! That fungi is huge!!! I can't believe how grown-up Fifi is now, but saying that, look at the twins! I'm sure they were just newborns only yesterday. That beam house is wonderful, I love finding lost treasures like that. Project 365 week 35 24th - 30th August. Project 365 week 33 10th - 16th August. A photographic update of the twins. Three generations go for an afternoon out.